MEDIENA: closing party Universal 2009! 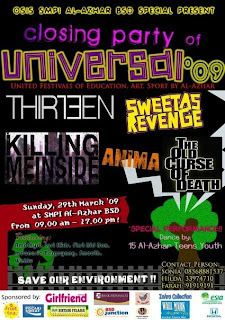 be there guys at Al-Azhar BSD on 29th March 2009 this Sunday! from 9 am until die!!!!!!! !